Folkmanis 2946 -I can sing; I can laugh; I can give big hugs. 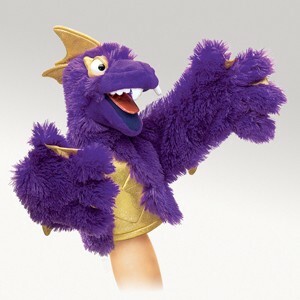 Purple Pi is great at telling stories with his big purple arms and hands. Movable mouth and two hands. Measures 12" x 4" x 12".